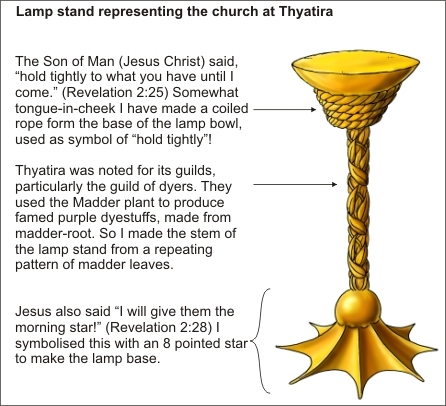 There is no description in the Bible about what these 7 gold lamp stands in Revelation actually looked like. 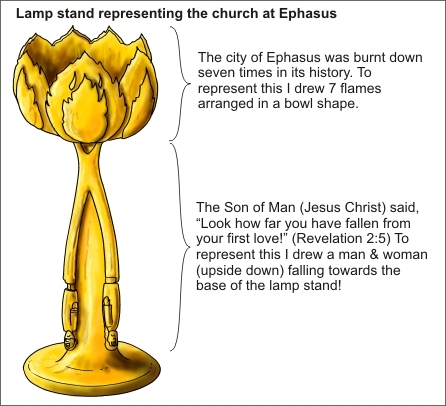 But as I considered drawing them it occurred to me that I didn’t just want to make 1 generic lamp stand design, but rather I wanted to depict the creativity of Jesus & to show something of the nature of the 7 churches in each of the lamp stand designs. 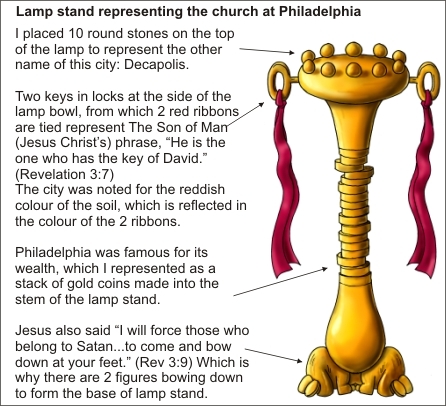 I started to research the history of these towns/cities in which the 7 churches were located, to see if there was anything noteworthy. 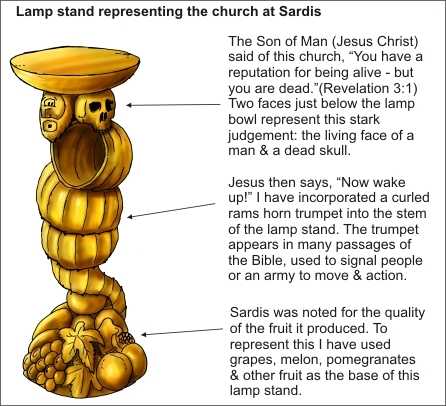 I also looked at the passage in Revelation, to see what images or symbols are used there. 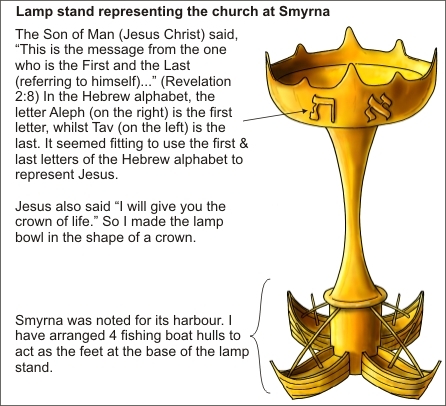 By combining several elements of each cities’ history with the symbolism of the Bible, I was able to design 7 completely different lamp stands, which are more interesting to look at (! ), & who’s design reflects something of the town/city they represent. 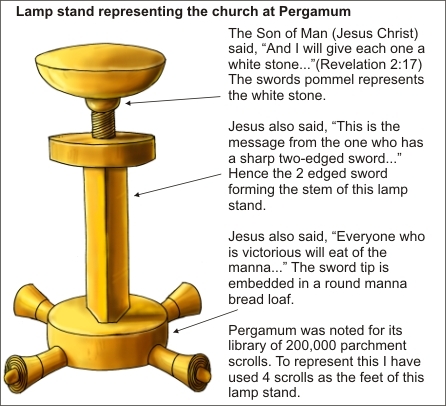 Below are the drawings of the lamp stands, with their various design notes. 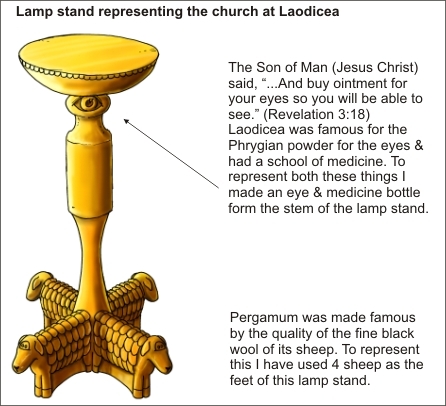 Click here to see the Revelation 07 – John on Patmos Bible Cartoon, with notes & purchase options.